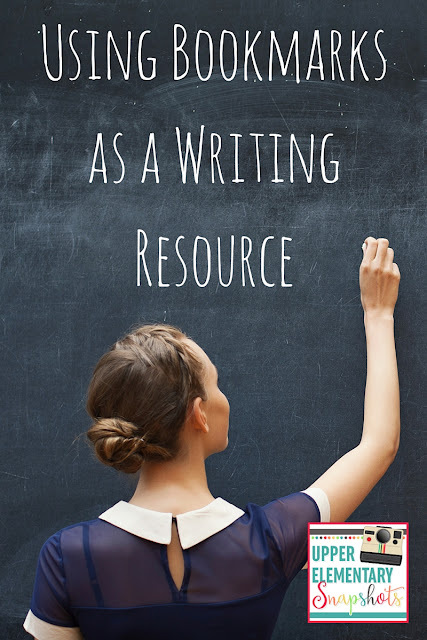 Writing involves a level of organization that your student may not yet have. With several steps to the writing process and so much to learn in each step, many students struggle to keep their notes organized and use their notes properly. Don't get me wrong, we take a lot of notes in writing. I love using mentor text and interactive notebooks for this purpose. 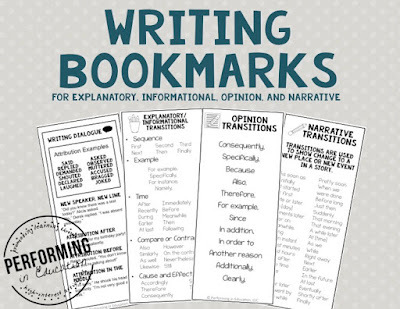 However, when I really want students to include something in their writing, I know it's time for a writing bookmark! At the end of the school year we work on creative writing. During this unit I really, really want students to use great transitions. 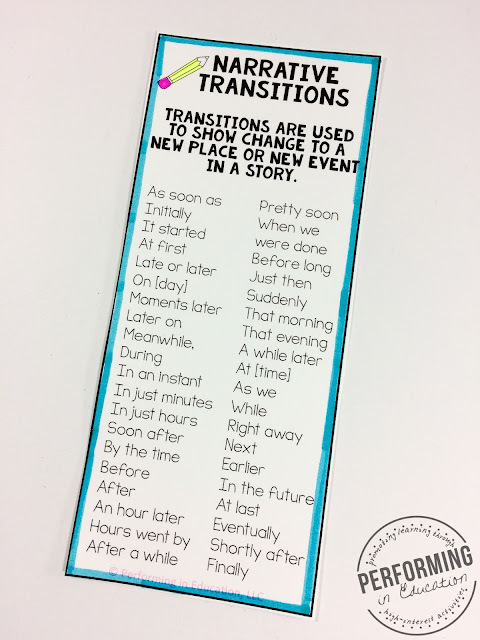 I print these beautiful narrative transition bookmarks onto white card stock (although colorful card stock is fun too) for each of my students. I also model using it in my mini-lesson on transitions. During our rough draft, my students carry these bookmarks everywhere they go: to meet with their writing buddy, to small group with me, and even home for homework. Back in small group I work with students on using transitions properly in their writing. We use short writing prompts and brainstorm together to figure out what we want in our writing. We practice using our bookmarks so that they know exactly what do with the transitions when they're back to working independently. My students love these bookmarks! They easily remember to use them and keep them in their writing journals to hold their place. 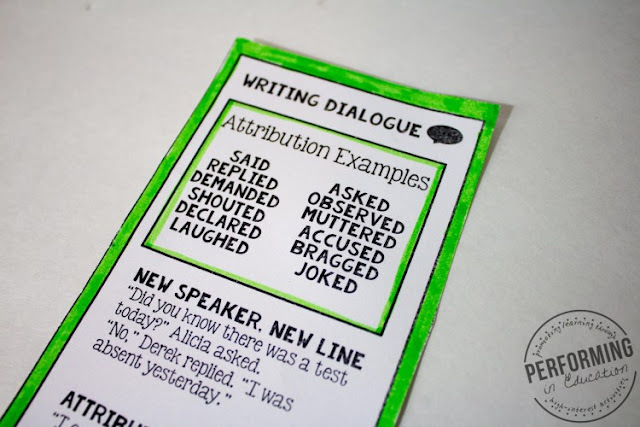 The other creative narrative bookmark we use as a resource is for dialogue - a very tricky concept with a lot of rules. 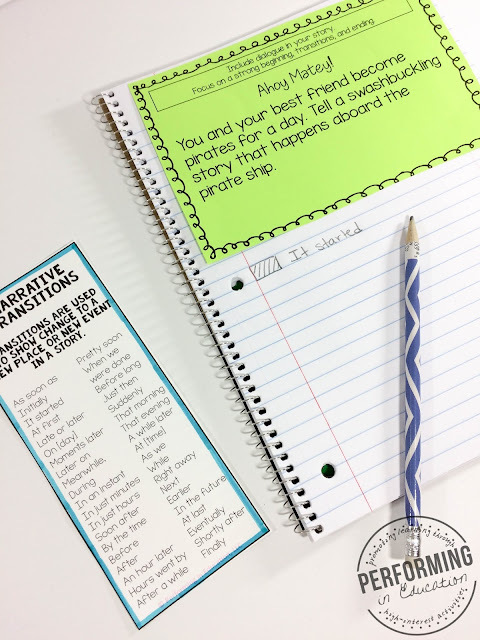 Download these writing bookmarks + two more (for explanatory and opinion writing) to try out in your classroom!